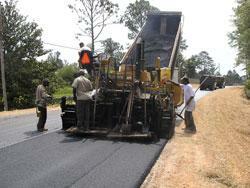 Asphalt Paving is a specialty that we added to our business in 2003. Our paving projects have varied from Residential, Commercial, and Industrial to MDOT. Site Drainage is another specialty that we added in 2002. 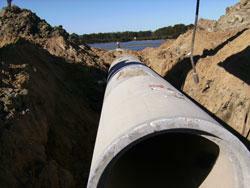 We install all types of drainage pipe (RCP, HDPE, CMP & PVC); also we install underground HDPE detention systems. 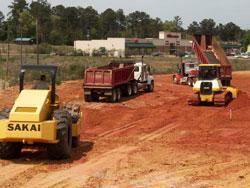 Sitework has been one of our core services since 1979, and continues to be a major part of our business today. 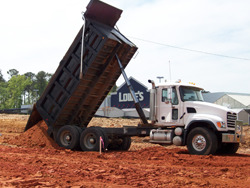 Our sitework may consist of clearing and grubbing, site grading, excavating and installation of materials such as (select fill, clay gravel, washed gravel, and limestone). In 2011, we equipped 2 of our dozers with GPS (Trimble) grading capabilities. Like our Sitework, Trucking has been one of our core services, and still is a major part of our business today. We have a fleet of 8 Tandem Dump Trucks, and 13 Trailer Dump Trucks and 1 Low-boy Truck.